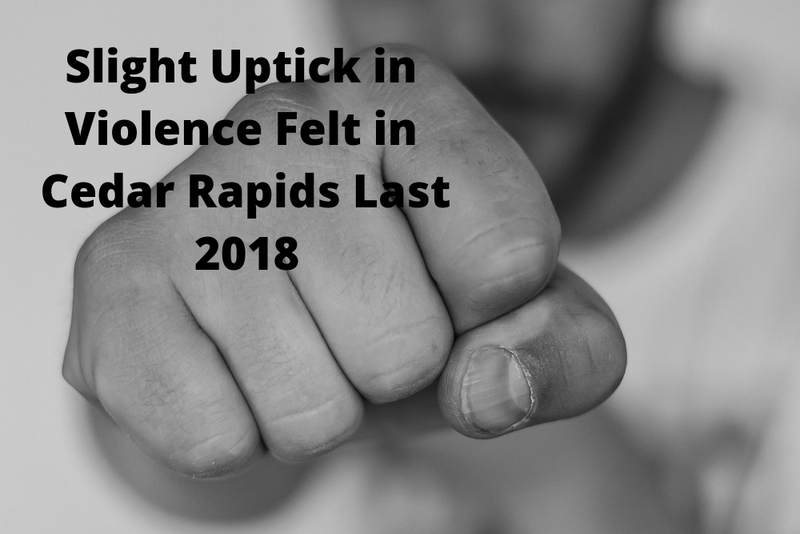 Cedar Rapids has been greeted with a slight uptick of violence, nevertheless, there is still a downward trend with regards to the city’s overall crime rate. This is the report shared by Chief Wayne Jarman. From 355 cases in 2017, it has increased to 368 in 2018. However, the city’s five year average for violent crime remains to dip by 3.16% last year. It is also alarming to note that amongst these violent crimes, domestic violence has also shown a significant increase. It jumped from 66 to 91 pushing an uptick on the number of assault-related crimes. Have you been accused of a violent crime in Cedar Rapids? Do you need someone to defend and protect your rights? Cory Goldensoph, P.C. provides a breadth of legal services. He is a member of the National Association of Criminal Defense Lawyers and the 2012 president of The Cedar Rapids Jaycees. He has the leadership and connectedness among his peers that you want working on your behalf. Schedule an appointment with him, today.